This item is in stock and is normally dispatched within 48 hours of order. 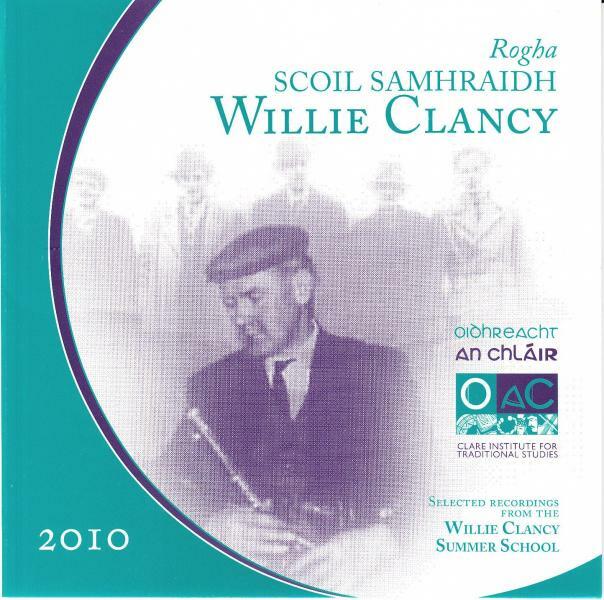 These recordings are published by OIDHREACHT AN CHLÁIR (OaC) with the cooperation of Scoil Samhraidh Willie Clancy and with the permission of the artists. The tracks presented here are selected from the full range of events organised over the week-long summer school in July 2010. They were recorded live and in all cases the performances were intended for the benefit of the audience present and the performers were not aware of any intention to publish. During the Willie Clancy Summer School, the number of individual public performances runs to many thousands and it is not possible to include them all on this CD. The selection of tracks here is based on a variety of factors, often of a technical nature. It should not be seen as being in any way a competitive process nor a reflection on any individual. The performers on these recordings are amongst the world’s finest exponents of the traditional arts. OaC would like to thank them for the generous donation of their performances, without which the CD could not have been produced. Tunes are identified where possible. However, alternative titles may apply. OaC are not aware of any copyright on the material on this CD other than as indicated. If other copyright has been infringed we will be pleased to hear from the holders. Published by Oidhreacht an Chláir Teo.